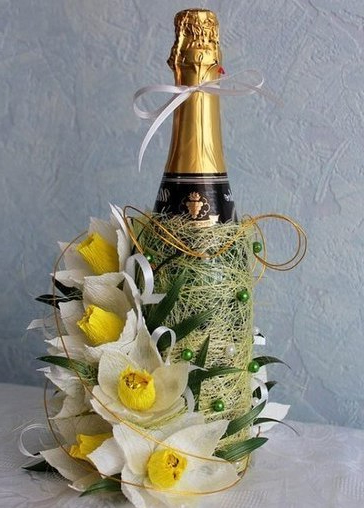 Daffodils of sweets and corrugated paper can be a separate gift, and serve as an element of décor, for example, they can decorate a bottle of champagne. 1. From the yellow paper cut the rectangle and turn it as shown in the picture. This is the core for our flower. 2. 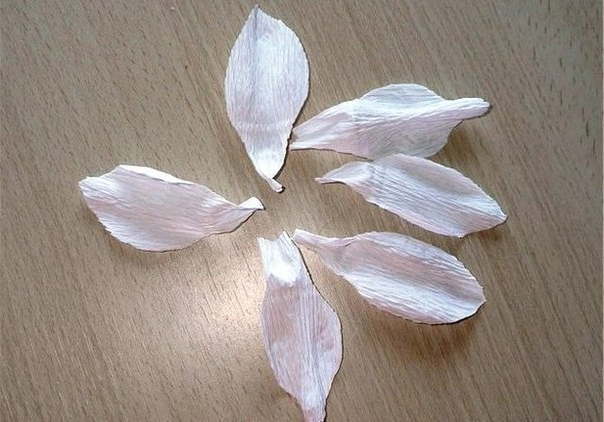 From white corrugated paper cut out six petals and slightly bend them in the middle. 3. 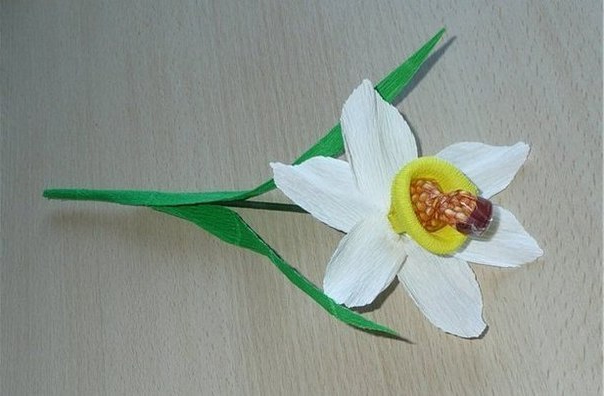 From a green corrugated paper cut leaves for a flower and a little bend them in the middle. 4. 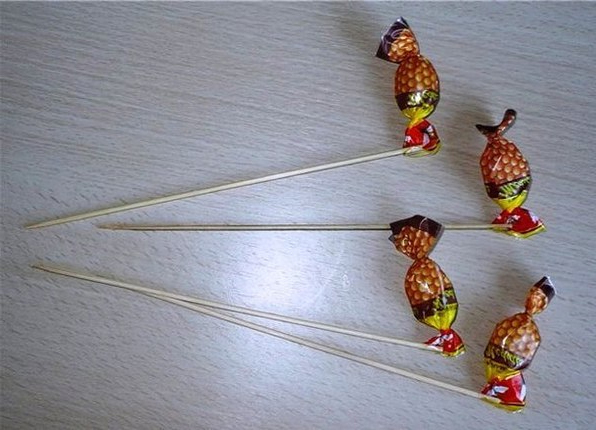 Now take a candy and with the help of scotch stick one edge of the wrapper to the wooden skewer. We got a stalk of a flower. 5. 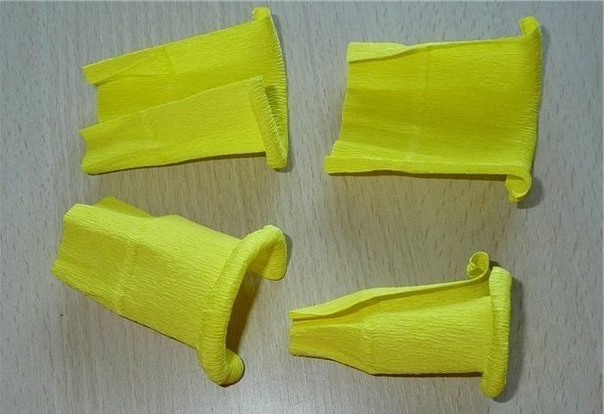 Take the yellow billet and glue it around the candy. 6. 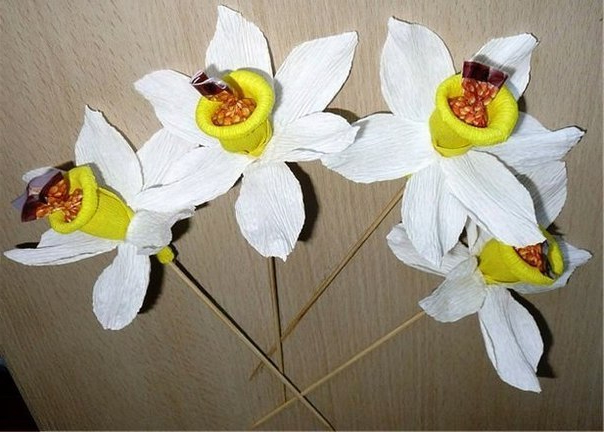 Next, proceed to the alternate gluing of the six white petals around the candy. 7. 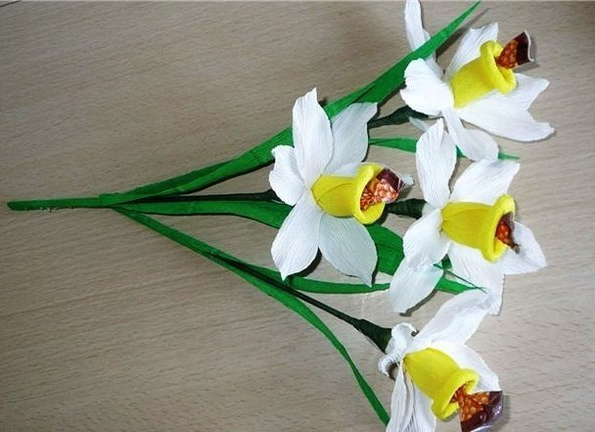 Attach the head of a flower with a foot with the help of tape-tape. Then pasted the stalk to the end tape-tape. 8. 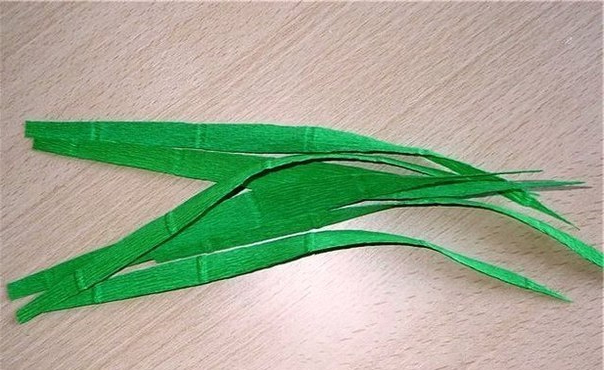 Use a double-sided adhesive tape or glue to secure the leaves to the stalk. 9. Repeat all the above steps to create a bouquet. 10. With the help of scotch attach all the flowers together, forming a bouquet. All! 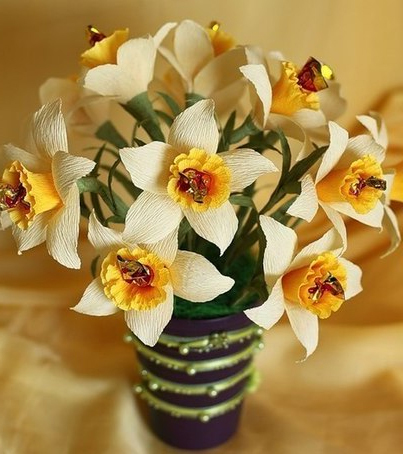 Daffodils of sweets and corrugated paper are ready. It remains to please someone with such an original gift.